Reno Omokri has narrated a startling story, detailing how he nearly got killed by a car recently. 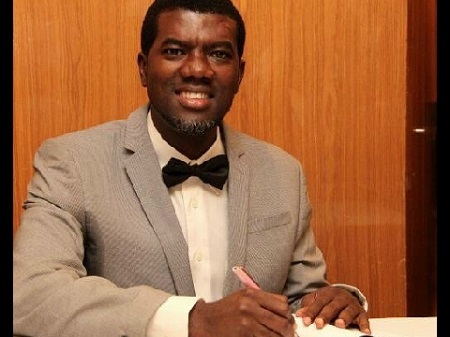 Former presidential spokesperson, Reno Omokri, has shared the story of how he nearly died recently. 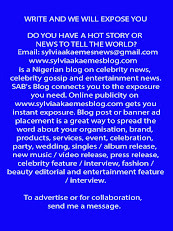 The author of "Facts V Fiction: The True Story of the Jonathan Years" took to his Facebook page to tell the story. According to him, he was in Washington DC, USA, when he almost got hit by a car while trying to cross the road. The car reportedly missed him by milliseconds. "At about 7:32PM on Sunday the 18th of March, 2018, I should have died. I had just returned from Washington DC. I was too focused on composing a thank you email to my hostess and I missed my stop on the air train. "I got out at Westfield Road station in front of the rental car center of San Francisco Int’l Airport and I was crossing the road to get to the other side so I could take the next train in the opposite direction. I was at fault. The pedestrian crossing light was red, but I crossed anyway without looking. How the oncoming car did not hit me remains a mystery. It was meant to hit me. It missed me by milliseconds. I believed I was going to die. But the strangest thing was that my life did not flash in front of me in an instant as they say. What I recall was this sense of calm. Of acceptance of what was surely to come. I was not afraid. I believed there was no escaping death at that instance. "Have I lost my sense of fear? Because even immediately after the event, I still was unafraid. There was no fear or aftershock. There is still no fear or aftershock hours after the incidence. "Right now I am still analyzing why I was not afraid. Whether it was an angel that gave me wings to run or whether my sub conscious took over, I don't know. What I know is that I give the God and Father of my Lord and Saviour Jesus thanks for being alive today. I know my Redeemer lives! If I keep this to myself, I am robbing someone out there from knowing that God exists. "He delivered me today and since He does not love me more than you, he will also deliver you from the premature death the enemy has orchestrated for you if you believe in Him and believe Him"